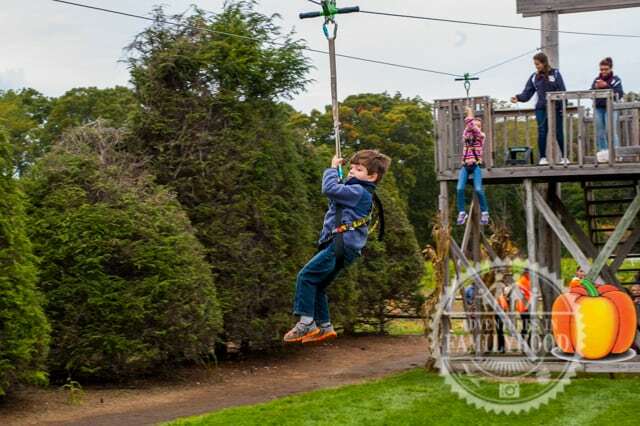 Pumpkins are Fall’s funnest food, and there’s no shortage of family-friendly pumpkin patches and displays in the New York City area. Pumpkins are great fun for baking and carving. They even make great attractions! 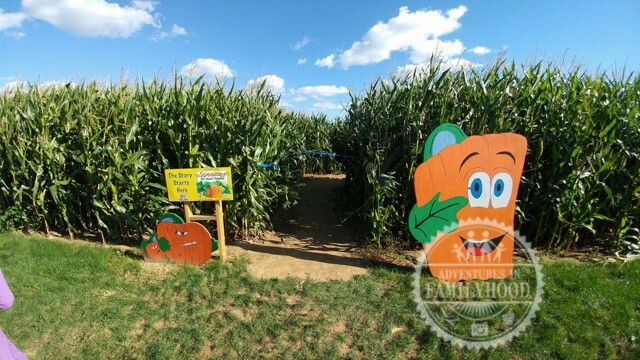 Here’s our list of the New York’s best Pumpkin Patches and Displays. First off, when you go in search of pumpkins, you should have an idea of what you are going to do with them. Pick-your-own pumpkins are usually grown for carving. They are very stringy on the inside. Others are better for baking. Generally speaking, the seeds from any pumpkin are good for roasting (though some are better than others). Choose a pumpkin that feels firm and is heavy for its size. Choose a pumpkin that has consistent coloring. Check to see if it will sit flat if you plan on carving it. If I wanted to simply purchase a few pumpkins, I could easily get them at the grocery store or a farmer’s market. Our local Hardware stores even stock pumpkins this time of year. But that’s not nearly as much fun as heading out to a patch to pick them ourselves. 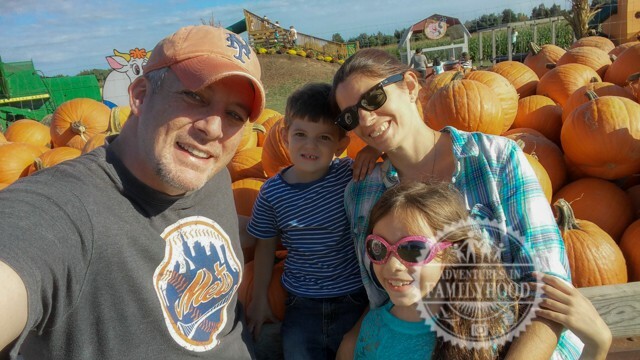 If you can find a patch that offers more than just a pile of pumpkins to choose from, you can make a family adventure out of it! 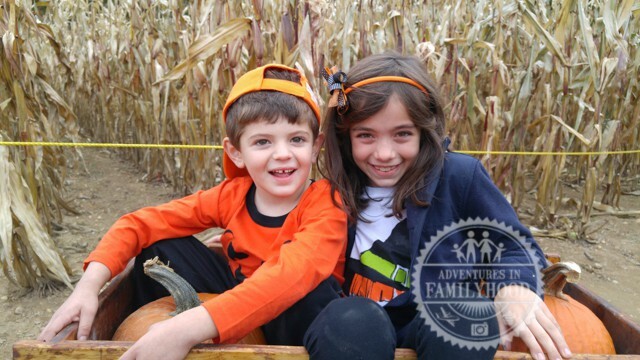 Visiting a pumpkin patch creates memories and photo ops. 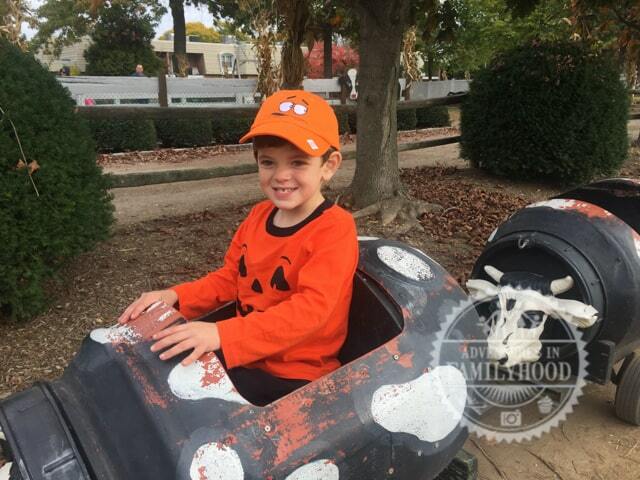 Enjoying hayrides, animals, treats, rides, and games adds so much more to the experience. 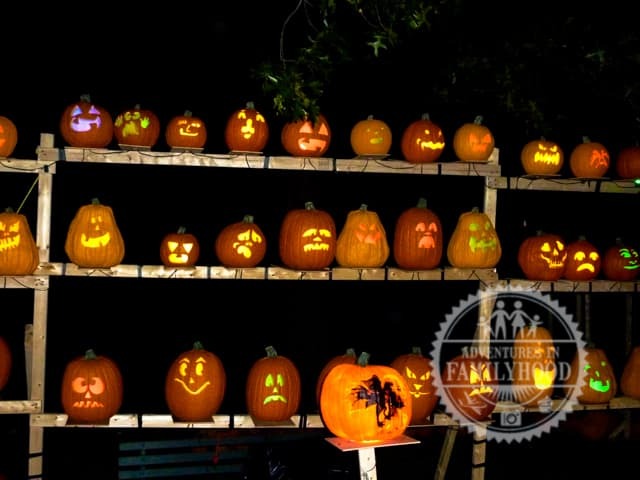 Hanks Pumpkintown is one of our favorite spots for apple-picking, but as their name implies, they have pumpkins too! 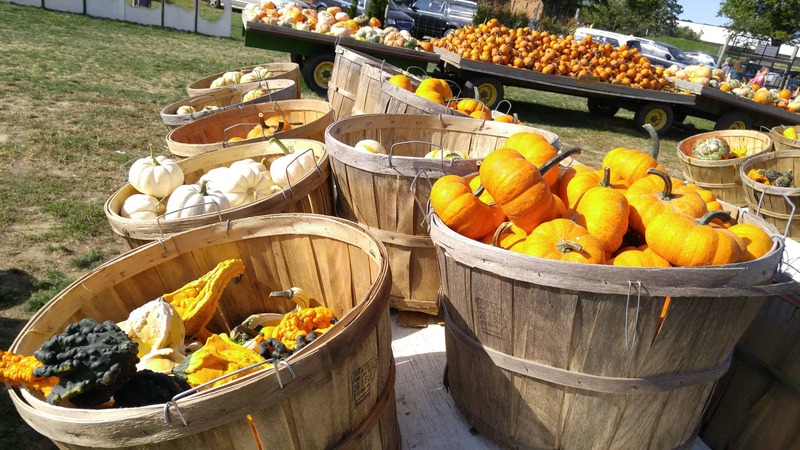 They offer a large field where you can pick them off the vine, or you can search through large wagon loads of pumpkins and gourds. Fresh roasted corn, apple-cider donuts, and other treats are offered in the market. So bring your appetite as well! For the kids, their free play area has numerous structures to play on. 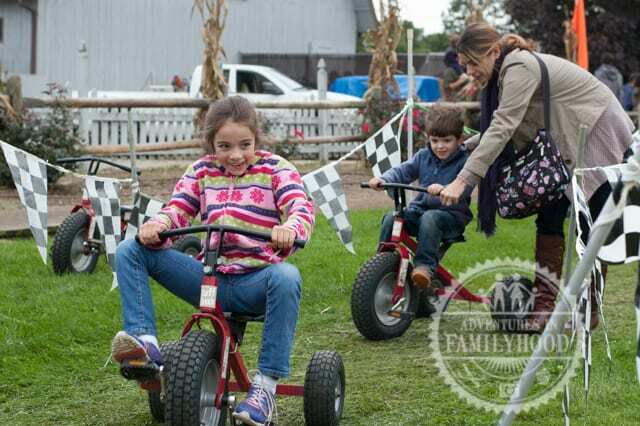 For more fun, you can pay to enjoy more slides and activities, including hay rides and corn mazes. One of this year’s corn mazes tells the story of Spookly the Square Pumpkin. We’ve been going to Colonial Springs for years. They did close in 2016 and re-open in 2017 with limited activities. We’re hoping all the fun will return this year. 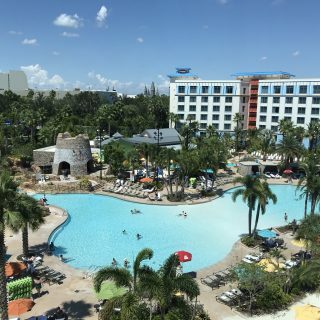 We’ll keep our fingers crossed because this is definitely one of our favorite places. Not only is it close by, but it also has a lot of extras. 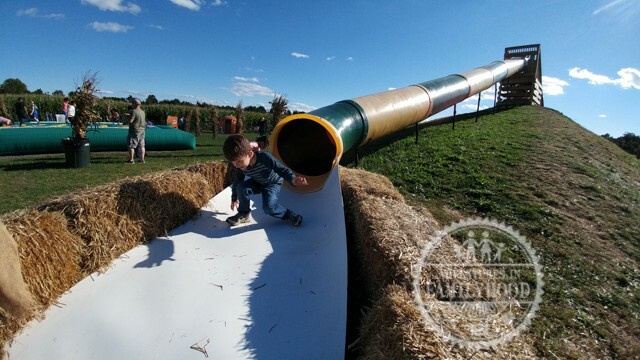 The kids love the play area with its slides, zip lines, swings, and cow train ride. There is also a Hayride. 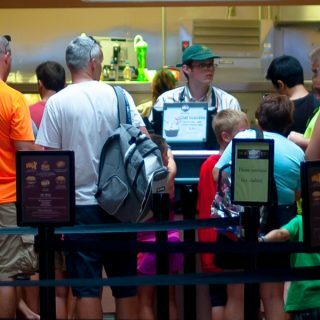 All of these extras require tickets which can be bought “a la carte”. Despite our disappointment at this year’s closure, there is some good news. The general store is still open and they’ll have fresh apple cider donuts for sale! 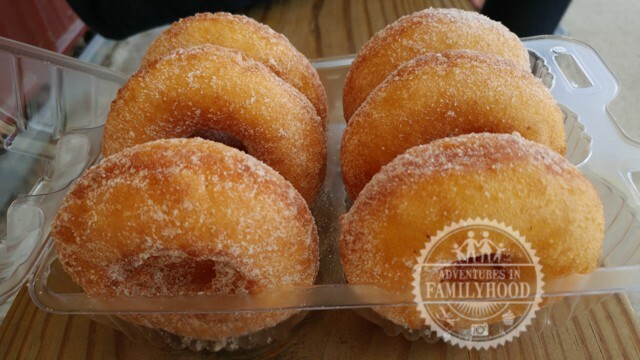 These are made fresh daily and are the best we’ve found in Long Island! Pumpkins are also great to look at. Many different types are colorful and unique just by themselves. But in the hands of some creative people, pumpkins can become art and really draw a crowd! 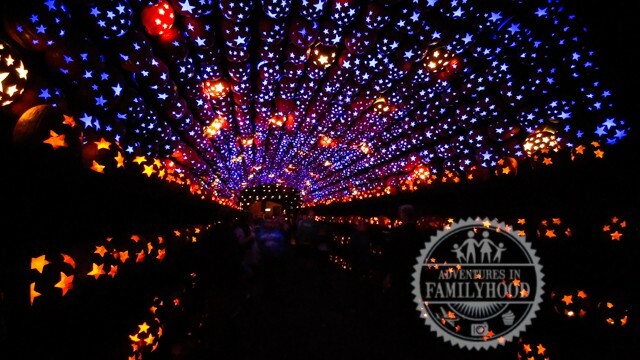 The Great Jack O’Lantern Blaze is one of the most amazing Halloween displays we’ve ever seen. We just went this weekend and it was even more incredible with new designs! 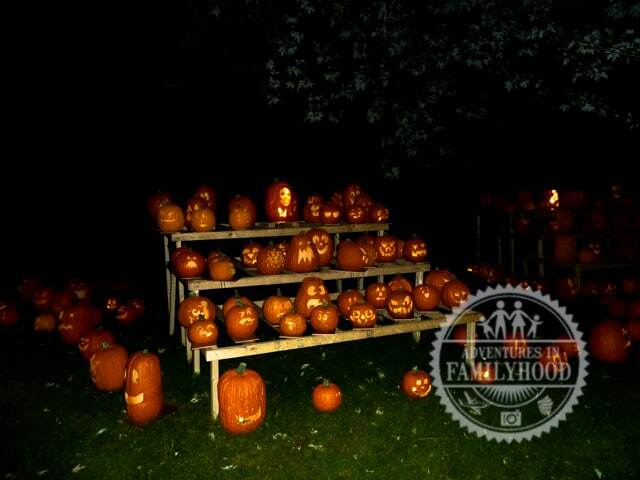 Each year, thousands of pumpkins are carved by hand and put on display with lights and music. Different scenes are created as the result is an astonishing walk-through experience. 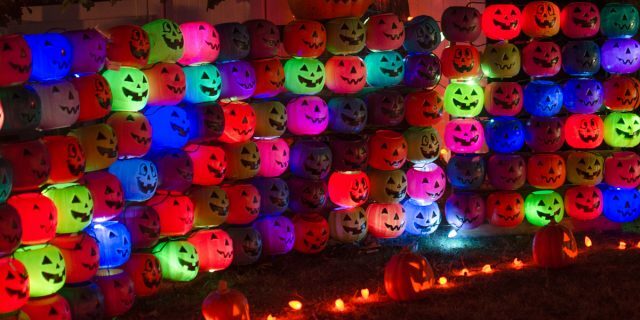 Rise of the Jack O’Lanterns is similar to the Blaze. 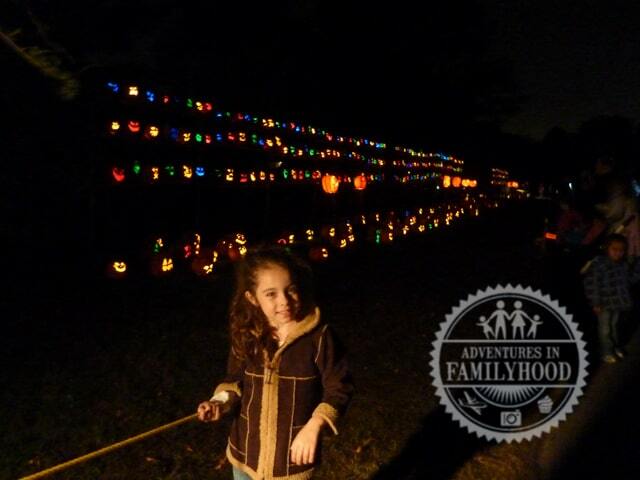 In fact, this was our first taste of a walk-through Jack O’lantern experience years ago. Then we discovered The Blaze. 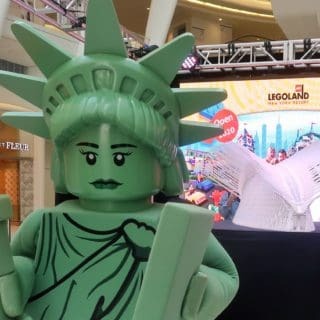 They have a few locations around the country, including Long Island and in New Jersey. It was smaller than The Blaze, but still very cool. 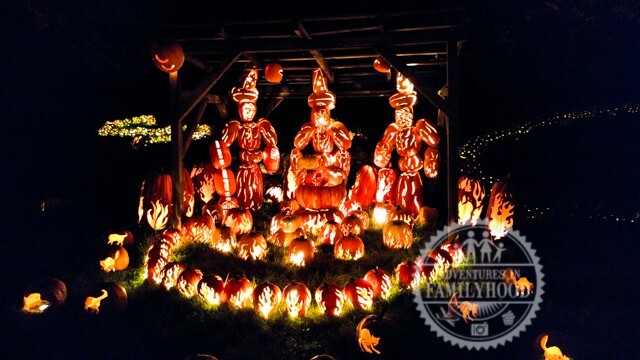 A lot of work goes into carving all those pumpkins, and I think while The Blaze focuses on creating scenes and structures out of multiple pumpkins, The Rise was more about see great carvings in individual pumpkins. 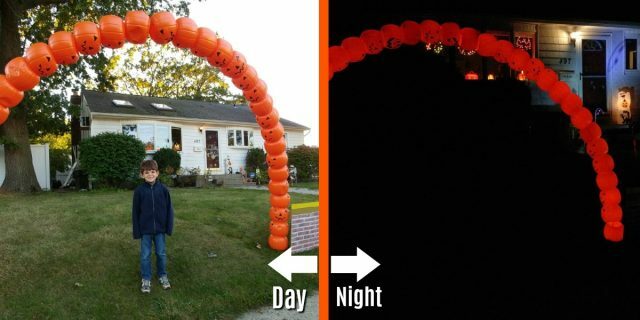 Now, it’s been a few years since we’ve seen The Rise, and their website is saying they’ve stepped up their game over the years with more locations (Boston, New Jersey, and Los Angeles) and more pumpkins! They have been doing pumpkin structures but still have a heavy emphasis on the intricate pop culture designs. We may have to do it again this year! 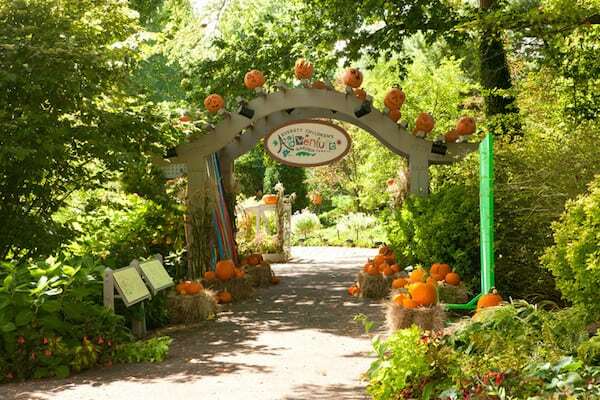 The NY Botanical Garden has transformed its children’s adventure garden into a friendly Pumpkin and Scarecrow Garden. It features unique looking pumpkins and gourds you might not see anywhere else, all watched over by friendly scarecrows. Kids can also enjoy a puppet play area. On weekends in October, the garden also features live pumpkin carving demonstrations and “Creepy Creatures of Halloween” animal presentations. Kids can learn why some of the animals that might make us scream are actually very cool! 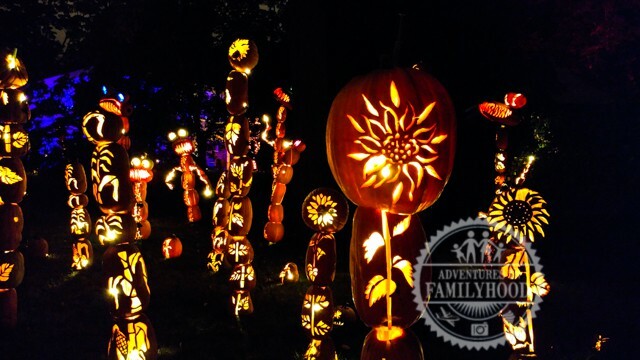 The weekend before Halloween (Oct. 26th and 27th), the NYBG hosts “Spooky Pumpkin Nights”. 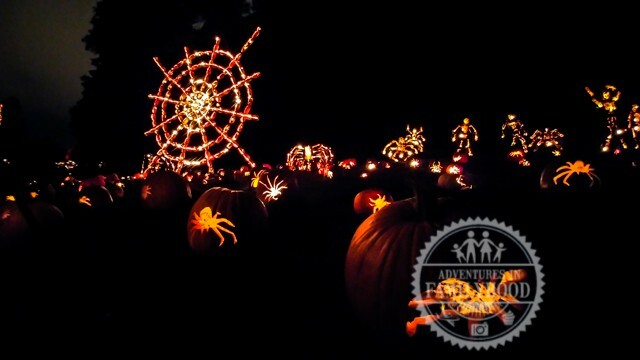 This is a great opportunity to dress up and explore the Spooky Pumpkin Gardens in the dark, as well as enjoy some trick-or-treating and other festive activities. One of the more unique pumpkin experiences we found is the pumpkin sail. 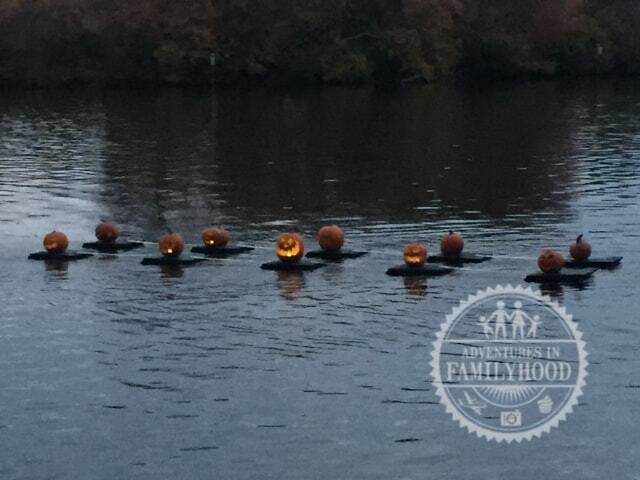 That’s when Jack O’Lanterns are lit and put out on the water. It’s pretty cool to see. The best part is that these pumpkin sails need pumpkins, and you’re invited to bring a carved pumpkin of your own to add to the sail! 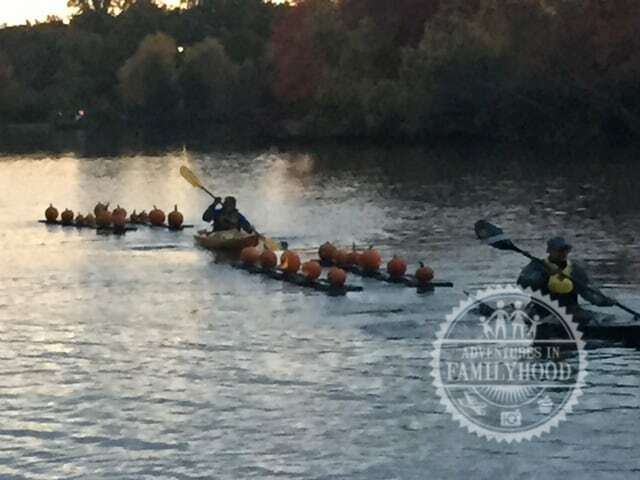 We’ve heard of this annual event in New York City, but we’ve yet to see the Pumpkin Flotilla in person. They have a parade and everyone is welcome to show up in costume. We attended this event last year. We didn’t bring a pumpkin, but the kids enjoyed the various activities at the park before lining up along the lake to see the pumpkins sail by. All of these great displays only inspire me to create my own. Perhaps one of these days I’ll have enough pumpkins carved to add our address to the list of pumpkin sights!! So far, my display features a light-up pumpkin pail arch. 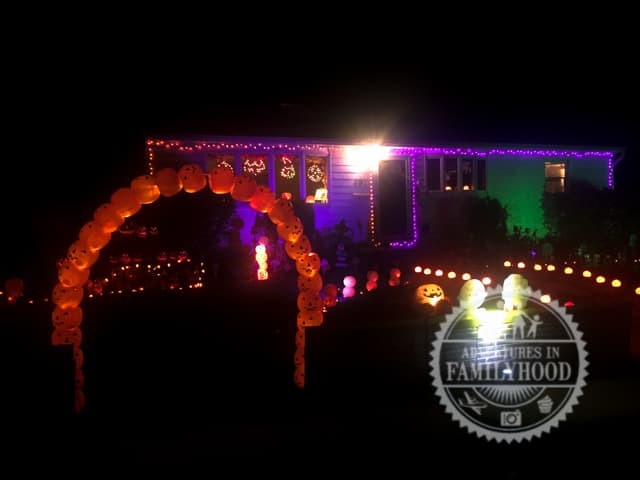 And a pumpkin pail wall light show. 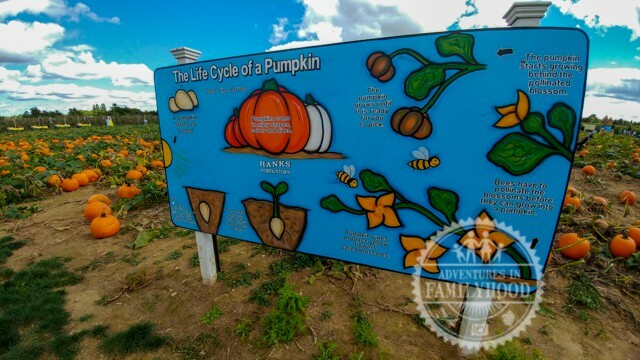 There’s seriously too many great pumpkin activities and displays in the New York City area and not enough weekends to see them all! check out the other great posts from our friendsl! Wow! Looks like you have lots of neat fall opportunities in your area. Our corn maze also has the apple cider donuts and they’re SO delicious! I love the photos of the displays!!! So beautiful!!!! Also, thanks for the tips on how to pick a pumpkin. I never knew some of them. Wow, I never would have thought there would be so many options in New York! These are great. And those apple-cider donuts look so yummy! Thanks for sharing your experience. 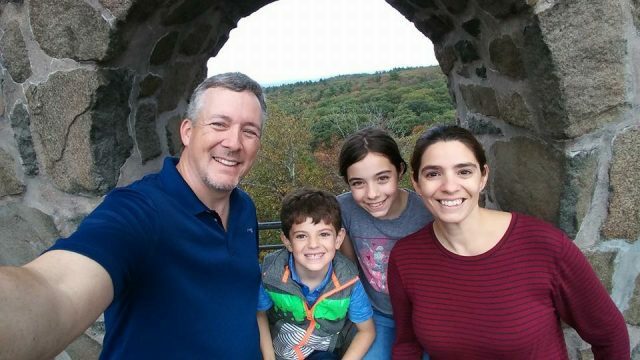 Your photos look great, it looks like a very family friendly and interactive experience.